I'd heard of Flagstaff before we visited, but I knew absolutely nothing about it. That's the best way to approach a new place, in my opinion: with an open mind and wide eyes. If I had known how much I would have disliked Carlsbad, New Mexico, for instance, I might not have visited its spectacular caverns. And if I had known how much I would have loved Flagstaff, I might have just moved there from Houston and never gone RVing. 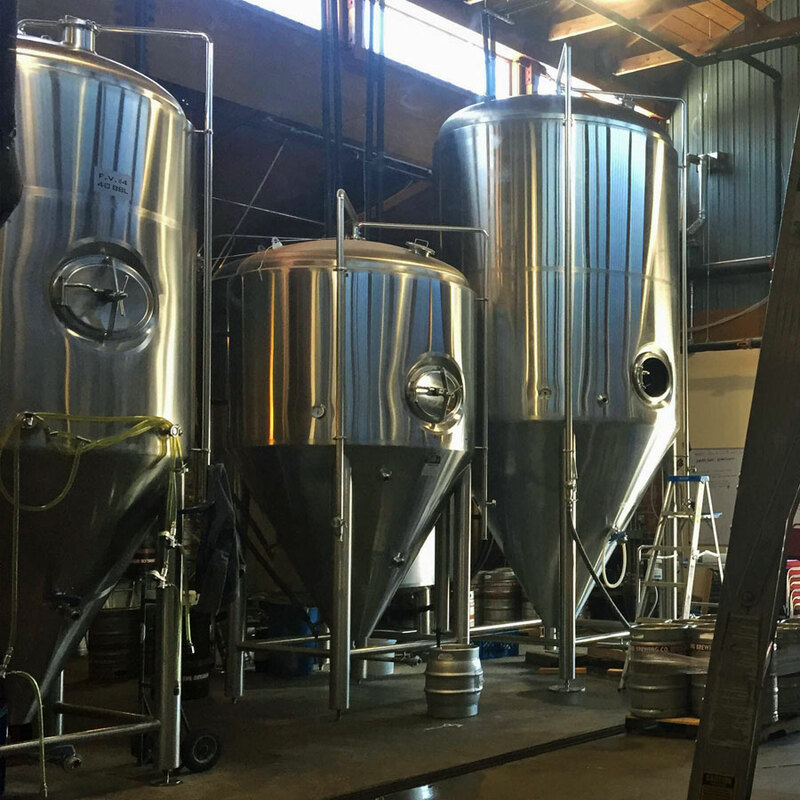 Okay, maybe that's not true, but suffice it to say we're now huge fans of this cool town. Situated on Route 66, there are vintage motels and eateries aplenty for visitors to enjoy, and the historic downtown is a great place to spend a day browsing local shops and dining. 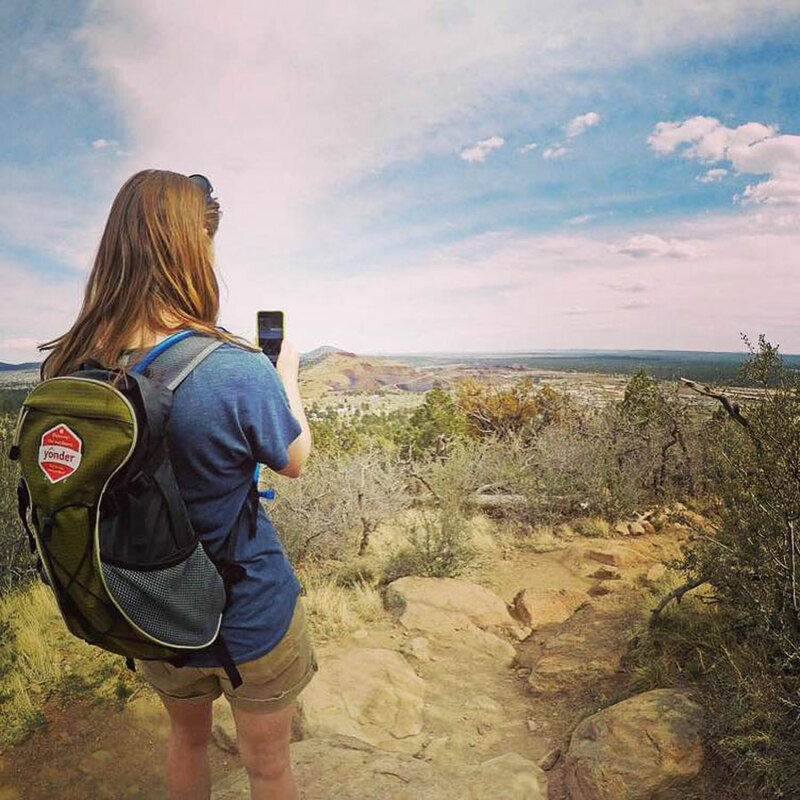 The college town vibe, mixed with nearby outdoor recreation opportunities, means there are also lots of hikey-bikey types, giving Flagstaff a fashionable yet relaxed feel. Flagstaff itself is gorgeous, with its Ponderosa pines, cool weather and blue skies. But part of its appeal lies in its surroundings. It's a day trip from Flagstaff to Sedona, the Grand Canyon, Montezuma Castle or even Phoenix — and we did all of these. When we arrived in Flagstaff, our plan was to stay for two weeks. We ended up staying for a month. Our home during this time was Greer's Pine Shadows, an RV park right off Highway 89. 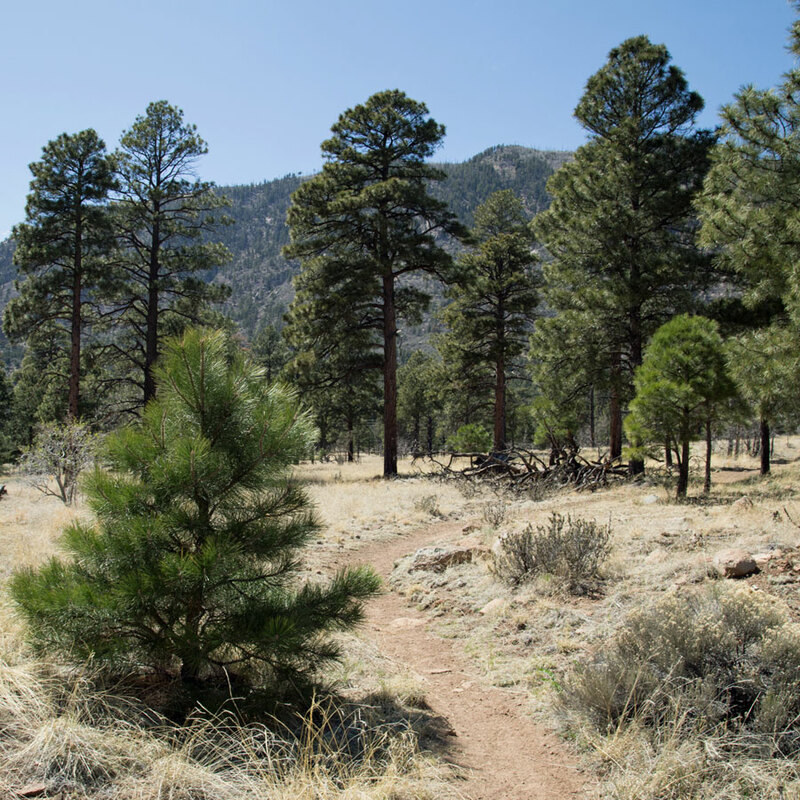 Trails within Coconino National Forest extend from the park's property. A bike path connects the park right to the heart of Flagstaff. A self-guided interpretive trail meanders around Elden Pueblo, a well-excavated Sinagua ruin within walking distance. The RV park is close to town but far enough away that traffic is rarely an issue. The price is reasonable, and the park managers (at least the ones on duty during the summer of 2015) are wonderful people who love suggesting activities for visitors. 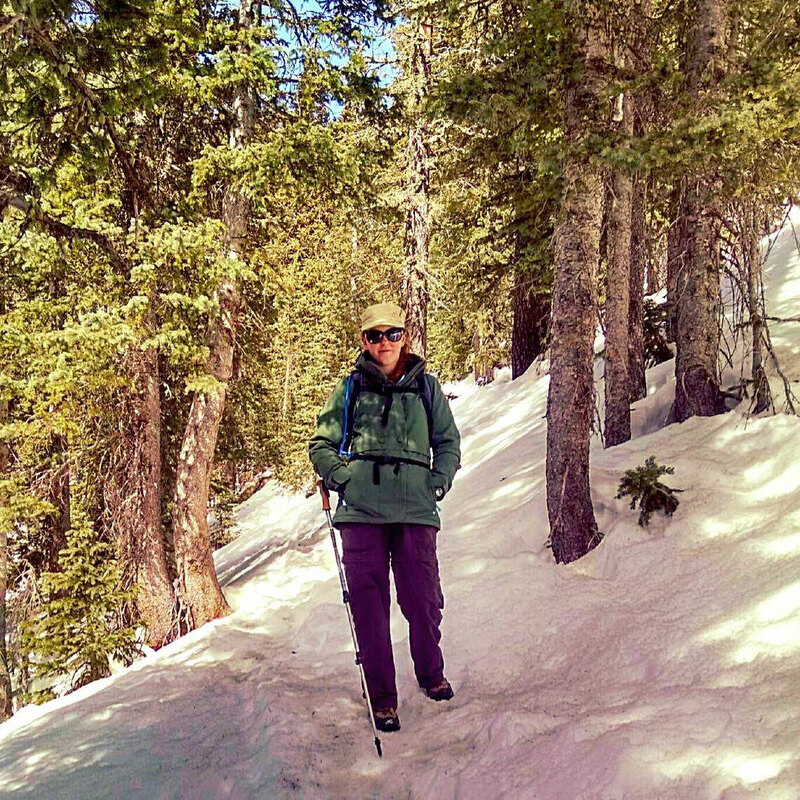 Flagstaff, itself, provides plenty of opportunities for hiking. Three times — twice with Josh and once with Jessi of Outbound Adventurer who came to visit — I explored Fatman's Loop, a trail that is in walking distance of Greer's Pine Shadows. 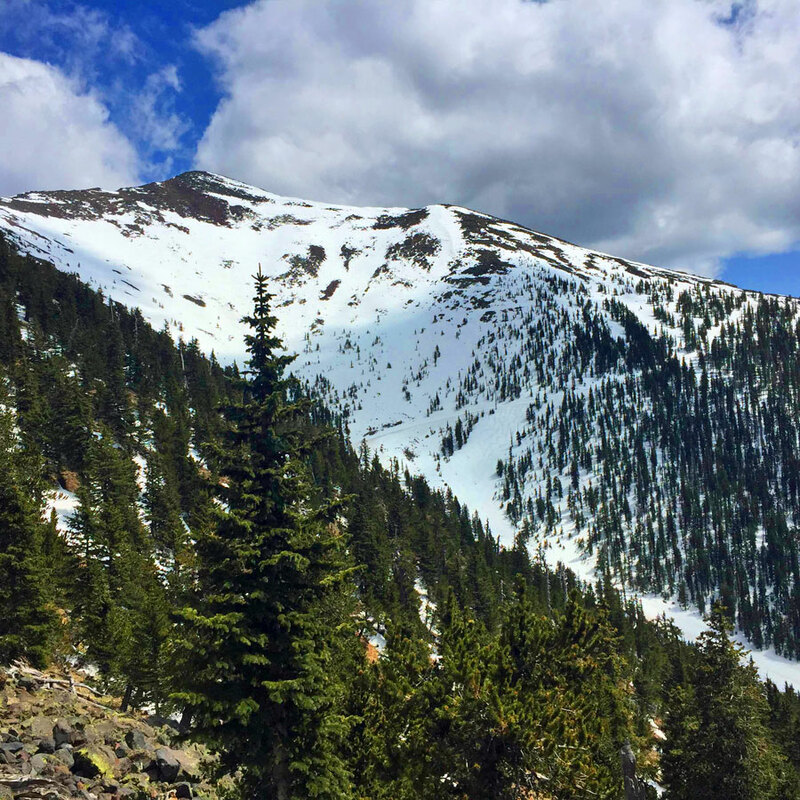 Jessi and I also climbed most the way up Humphreys Peak, the tallest mountain in Arizona. Of the 10 round-trip miles of the trail, we made it 8, and of the roughly 3,000 vertical feet, we made it up 2,000. It's difficult to say if the going was tougher up or down. I definitely slipped a few times in the snow and ice, but the views made it worth the effort. 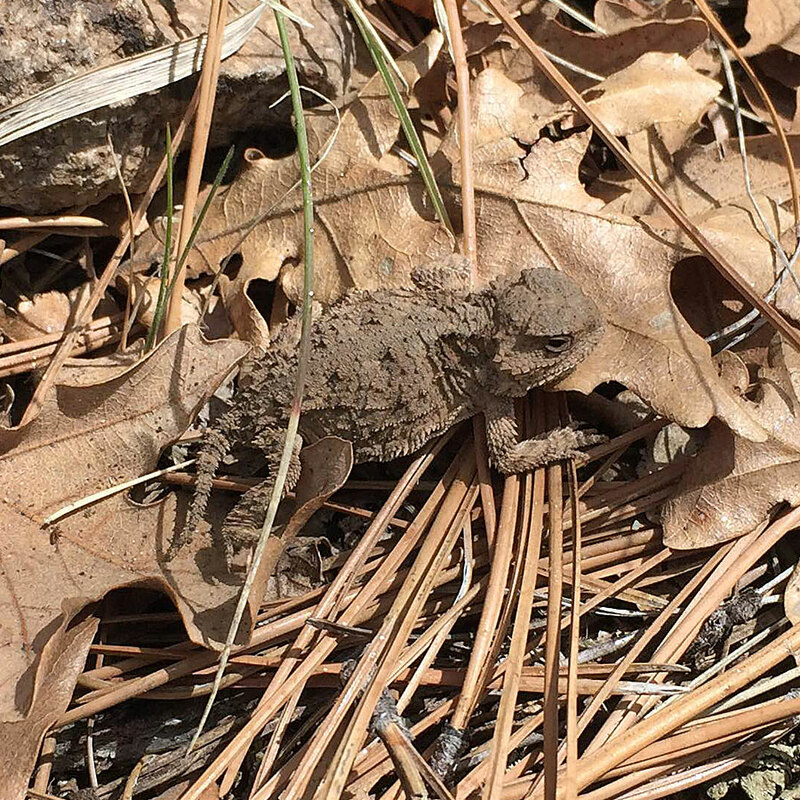 Josh spotted the very first horned toad I'd ever seen on one of our hikes in the Coconino. The little guy was kind enough to pose for a photo. Although I've only heard about horned toads in Texas, it took a trip to Arizona to find my first one. 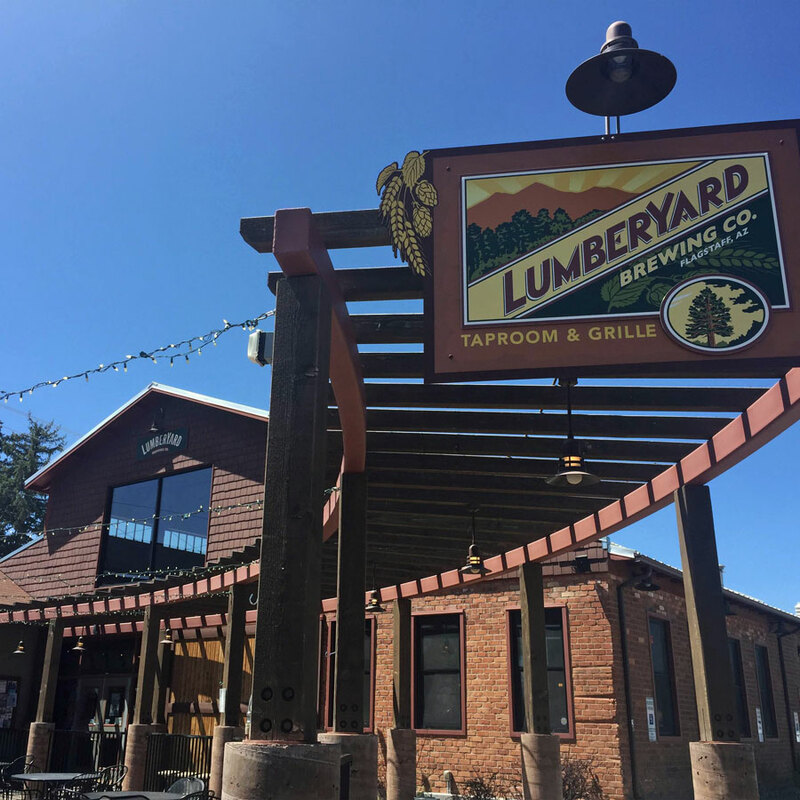 With a brewery on what seems like every corner and no shortage of visitors from around the world, Flagstaff is a great place to be if you're hungry. Pita Jungle: Healthy, tasty Mediterranean food; try the cilantro jalapeño hummus with seared ahi tuna. Wowzers. 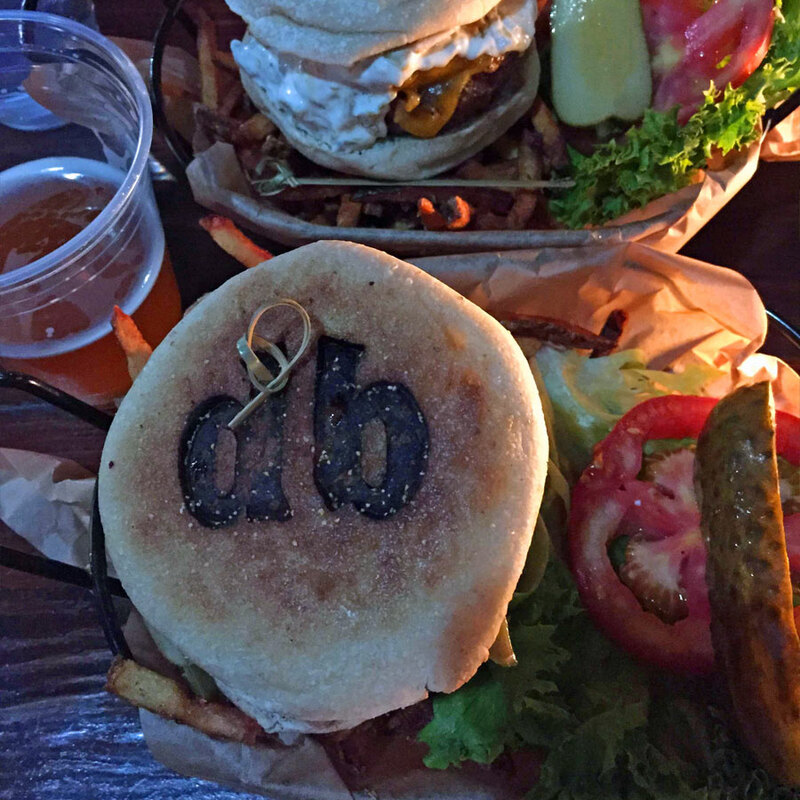 Diablo Burger: Where else can you get a locally-sourced Vitamin B (bacon, beet and blue cheese) burger branded with the restaurant's logo? Flagstaff won our hearts, and we can't wait to return. It's right up there with Chattanooga, Tennessee for cities where we could definitely see ourselves settling down if we ever give up our roaming lifestyle. 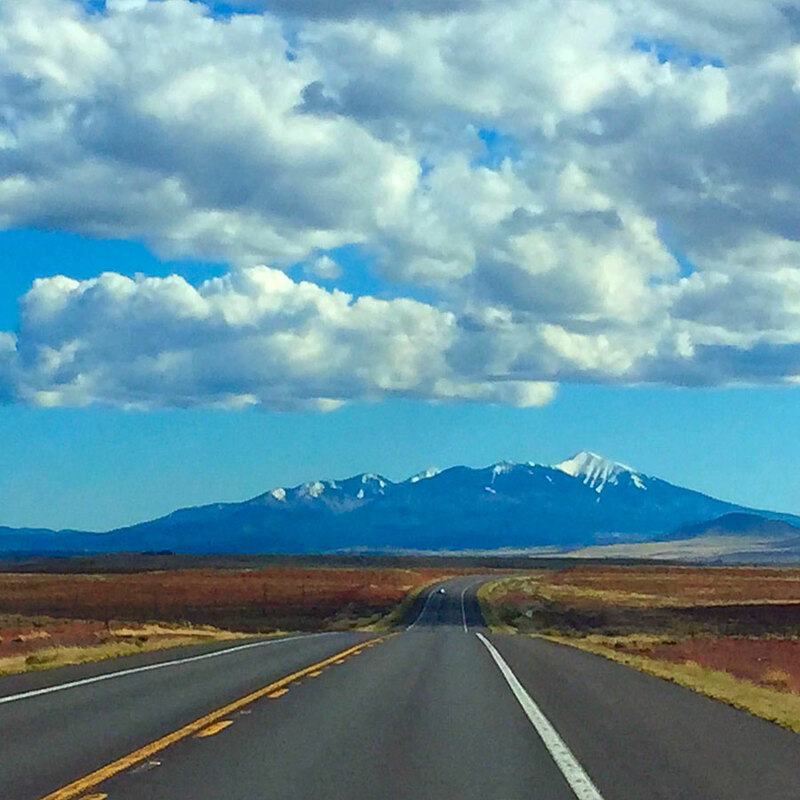 Have you visited Flagstaff? What were your impressions? Favorite places or activities?